When you visit the doctor, it is important to make sure that you get the resolution you seek out of the appointment. By writing down your thoughts before the appointment, you are less likely to forget important details. 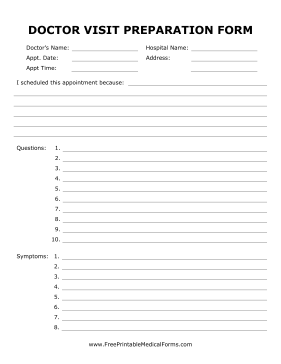 This page is perfect for patients who are nervous about their appointments.